I hope you are having a GREAT weekend! Today’s card was made using a stamp from Janlynn called “How Do I Love Thee“. I changed it up a bit, so you should click on the stamp link to see it, then look at my card. What do you think?? I colored the rose with Copics, cut it out and mounted it with dimensionals. 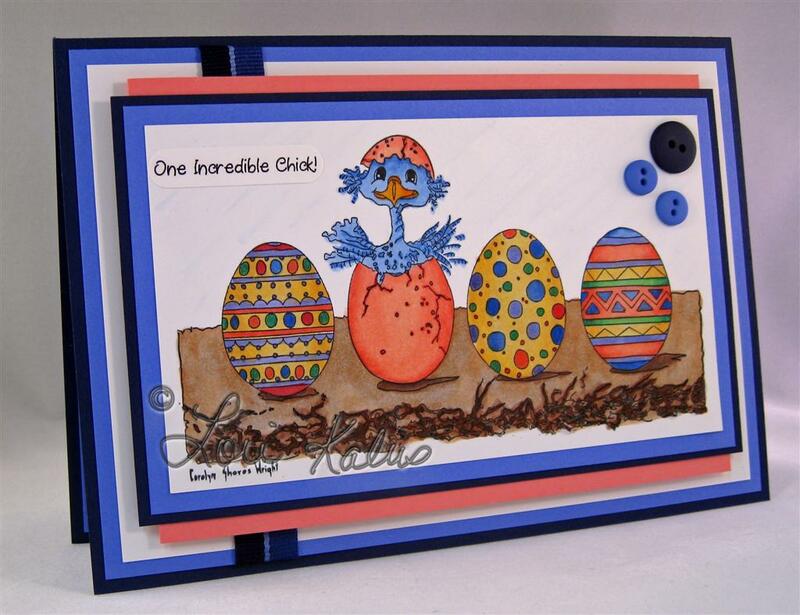 The large white layer is embossed with the CB Birds & Swirls folder. Do you have trouble tying bows? Check out the Bow Easy. I tried it on this bow…works like a charm! Isn’t she cute! The image is colored with Copics. I made the sentiment in Word, printed it off on WW cardstock, and punched it with my SU! Word Window Punch. The Cameo Coral layer is on dimensionals. I hope you are starting the week out with a bang I’m taking a break from house cleaning to sneak in a quick post. 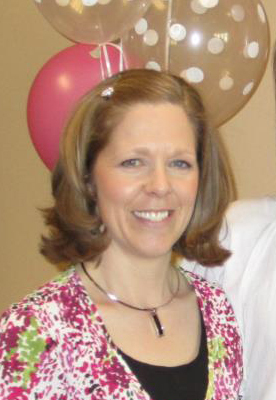 My hubby and I celebrated our 10th wedding anniversary Friday. 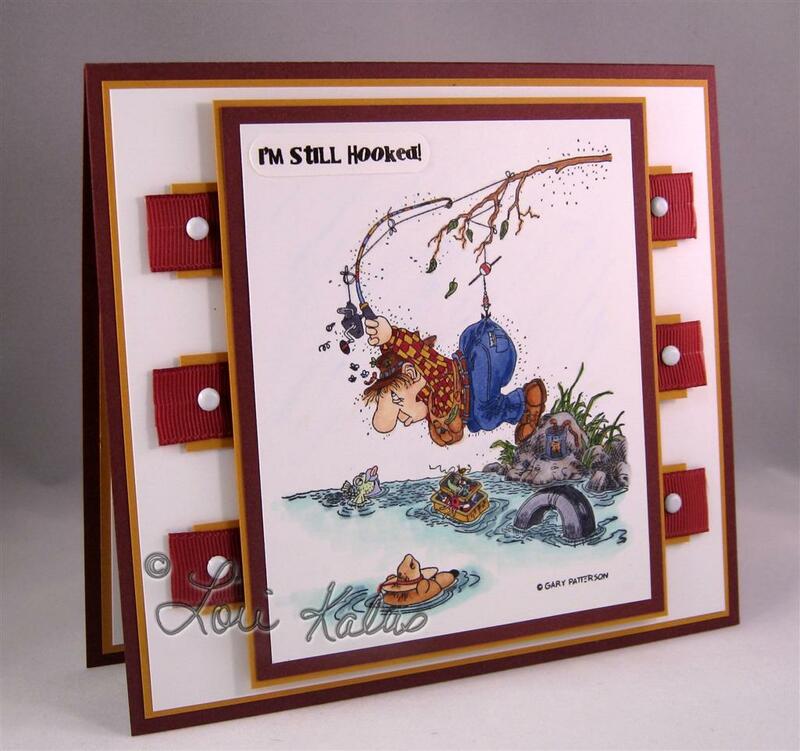 I have been dying to use this stamp from janlynn called The Art of Casting. I thought it would be fun to use it for our anniversary to show my hubby I’m still hooked 😉 I’m pretty sure it’s not meant to be an anniversary card, but with a little sense of humor it’s great! My hubby loved it. What do you think? I made the sentiment on my computer, printed it off and punched it with my word window punch. I used my Copics to color the image. A few weeks ago I took the plunge and invested in copics. I have definitely fallen in love with them. This is only my third time using them. It takes time and patience, but it’s worth it. I have a quick and easy graduation (or any congratulations) card to show you. 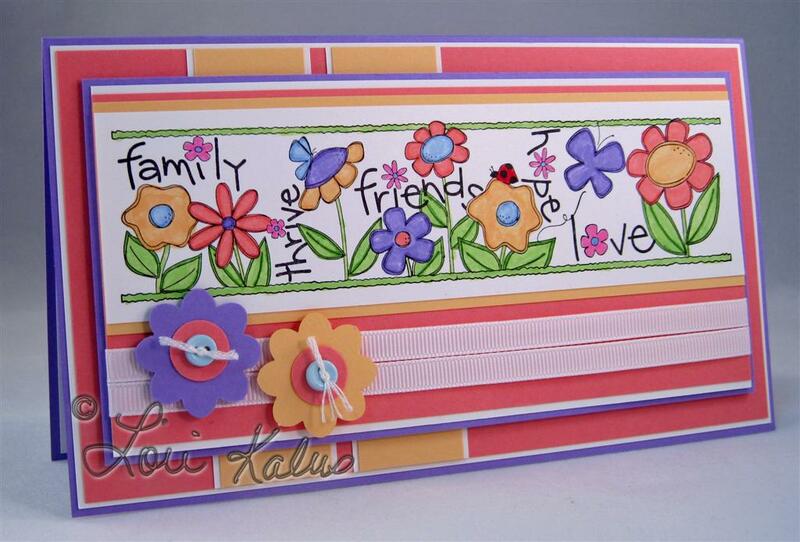 I used a combo of my Cricut Jasmine font cartridge and the craft stamp, flower, from Janlynn. Speaking of Janlynn…they are having a HUGE Blow-Out Sale…check out their great deals!! 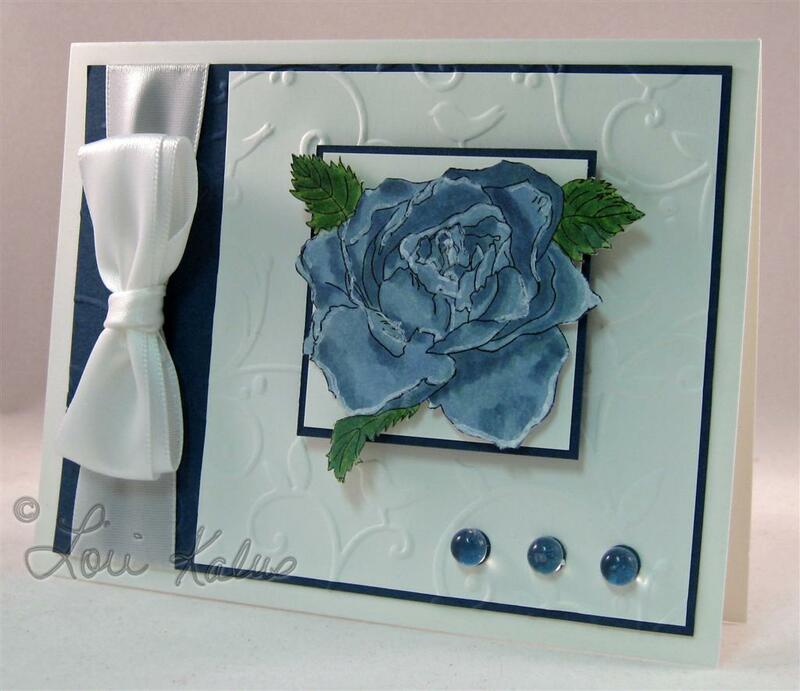 The flower was stamped in White Craft Ink then embossed with white detail EP. I then cut it out, attached a brad to the center and mounted it on dimensionals. The ribbon is some I picked up at Hobby Lobby, which matches perfectly! This DP is from Chatterbox. This sketch is SC224 (flipped). 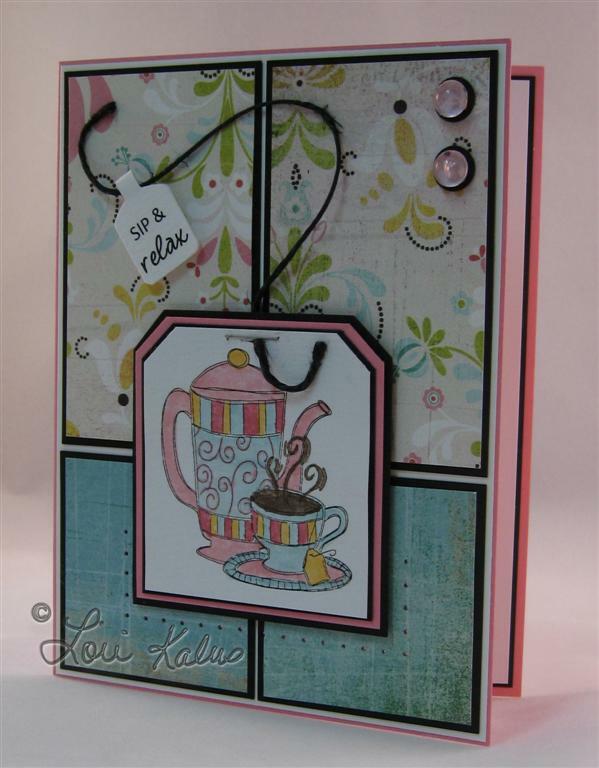 I have been working with some super cute stamps I received from Stamps Happen, Inc. Check out their site at www.janlynn.com. 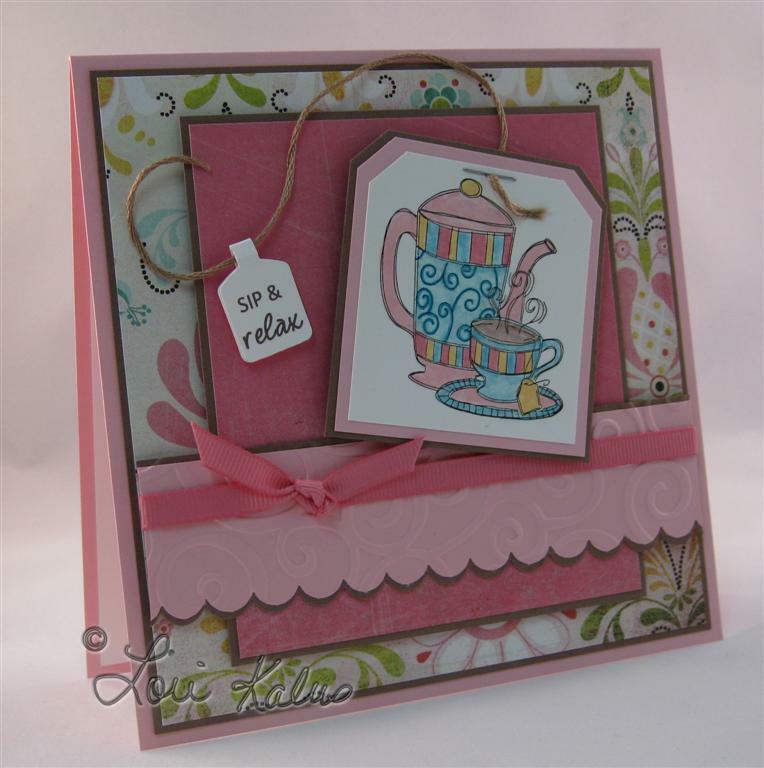 I have three cards to show you today that I created with the stamp Pot & Cup, each with a different sketch. Again, I really liked my tea bag idea, so the third time is the charm, right?? So this card is the winner. I love, love the colors. Can you ever go wrong with pink and brown? This sketch was the Weekend Sketch Challenge WSC79. I’m playing with more new stamps from www.janlynn.com that I’ll show you soon, as well as some Mother’s Day projects I’ve been working on. Have a great day!